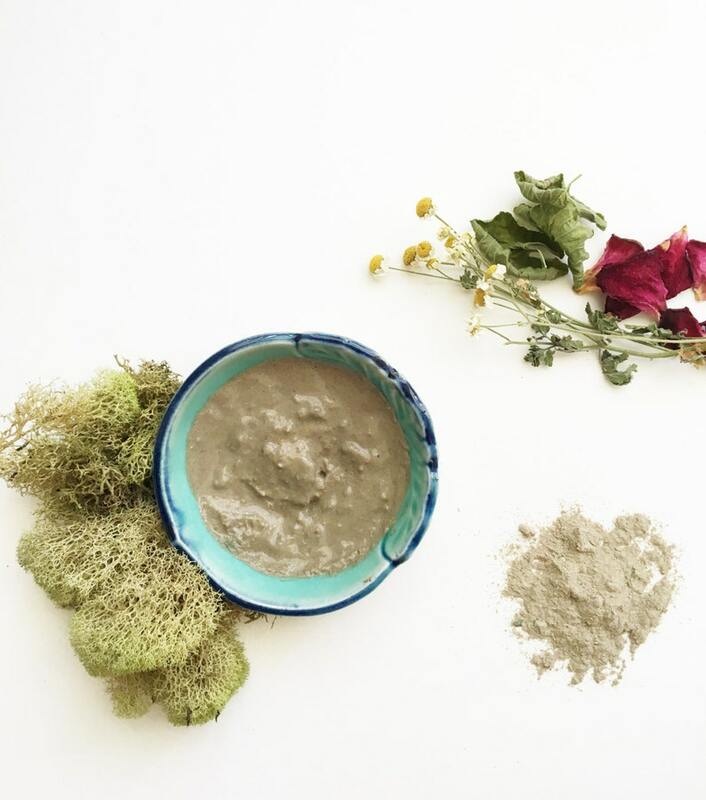 Nourish your skin with the powers of herbs and clay with this face mask. This herbal clay facial mask contains a blend of french green clay and Rhassoul clay that condition skin with rich minerals. 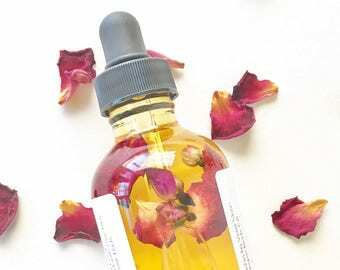 A blend of ground rose petals, violet leaf, and chamomile flowers add vitamins and antioxidants and help hydrate and condition skin, leaving your skin moisturized. Good for those with sensitive skin. Mineral rich Moroccan Rhassoul clay has been used for over 1400 years as a soap, shampoo, and skin conditioner, and continues to be used by the finest spas across the world. French green clay consists of micro molecules that gently hydrate and cleanse your skin. In addition to the mineral rich clay I include violet leaf, rich in vitamins A and C, as well as iron and calcium to help condition the skin. Rose petals add extra hydrating power, vitamin C, and antioxidants. Chamomile helps soothe and calm skin. 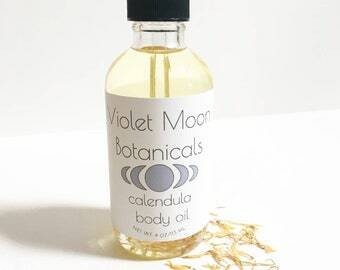 The chamomile, rose and violet leaves used in this product are straight from my organically grown garden, where I harvest and dry fresh California herbs and flowers by hand. All ingredients are sustainably harvested, picked at their peak state and preserved for your enjoyment. To Use: The clay's absorbent properties may become less effective when they come into contact with metals. Because of this, always use wooden or ceramic utensils and dishes when removing and mixing this clay mask. Remove approximately 1/2 teaspoon of clay mask mix and combine in a non metal container with 1 teaspoon of water. Brush mixture onto clean face with a clean makeup brush or your fingers. Let mixture dry, then gently wash of with water or a wet cloth. This mask is best used once a week for refreshed skin. This product contains enough for approximately 20 uses. Ingredients: Rhassoul clay, french green clay, chamomile powder, rose petal powder, violet leaf powder. 1 made to order glass jar containing 2.7oz. of nourishing clay and herb facial mask powder. For more natural beauty products, natural skin care products, vegan skin care products, clay masks, and spa and relaxation gifts for her, check out our etsy homepage! The product arrived timely with lovely packaging. The mud mixes well with a nice consistency. It goes on well and left my skin feeling fresh and smooth.